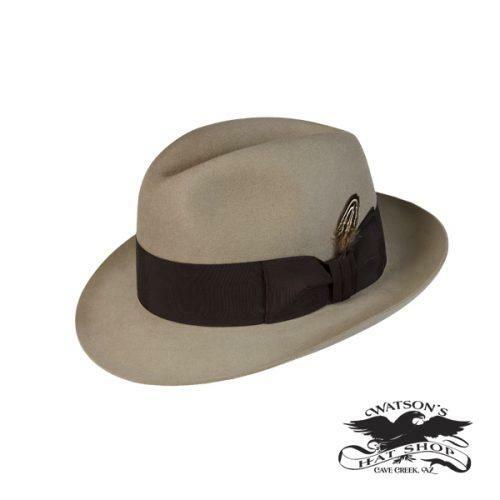 A dress hat is also sometimes referred to as a Fedora. 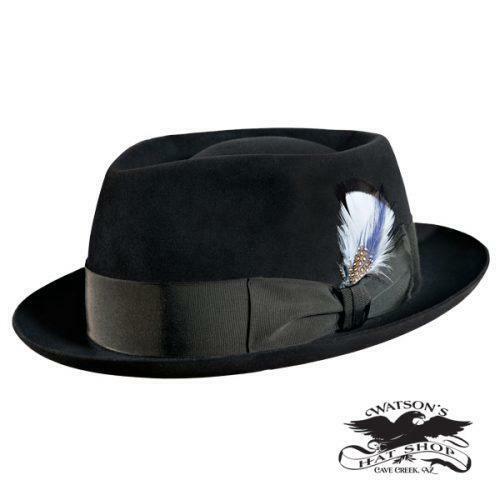 A fedora or dress hat typically has a pinched crown and a snapped brim. 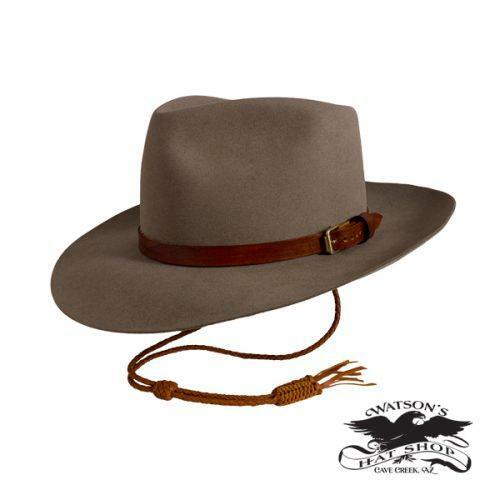 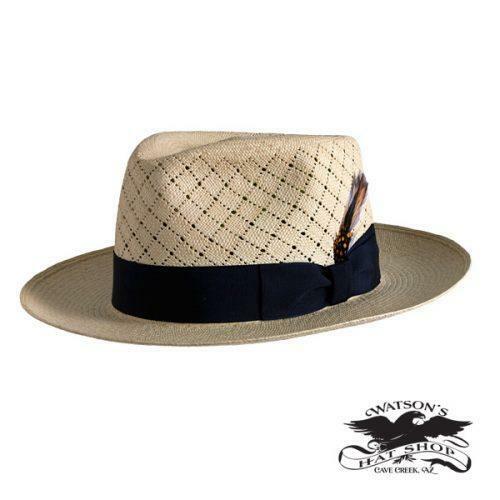 This style of hat has been popular since the late 1800s and up to today. 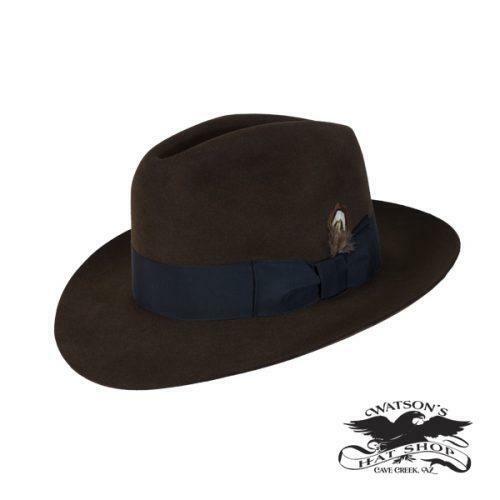 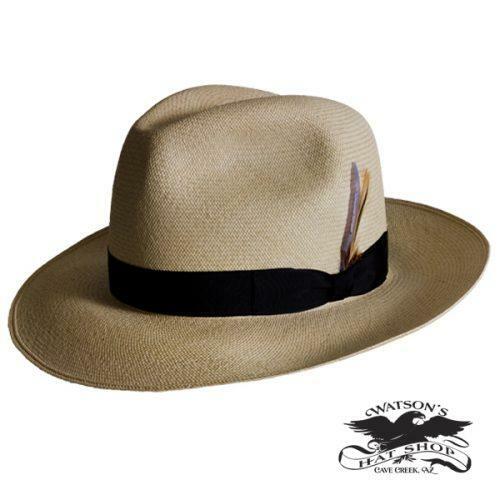 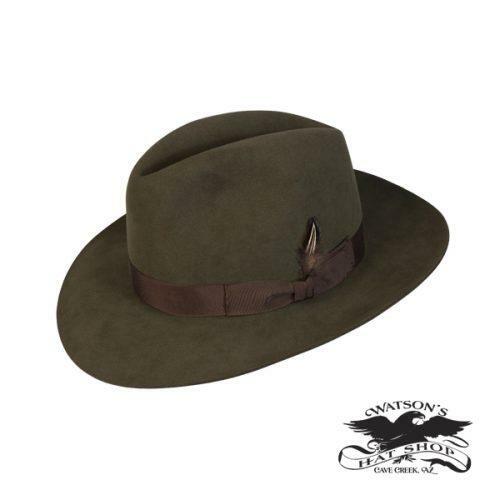 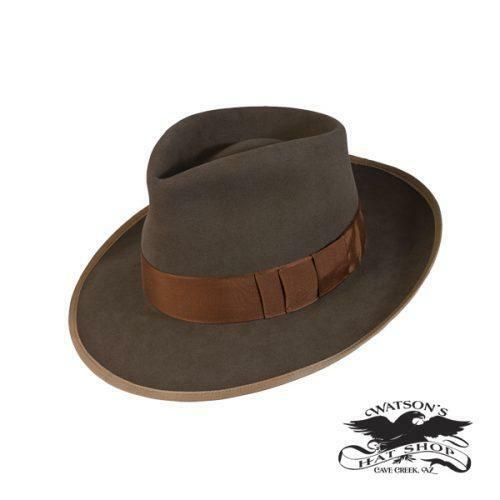 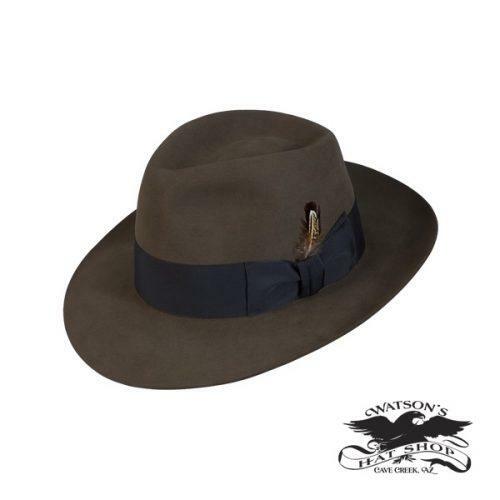 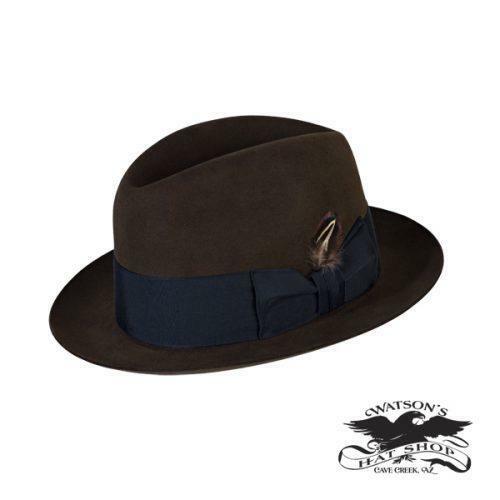 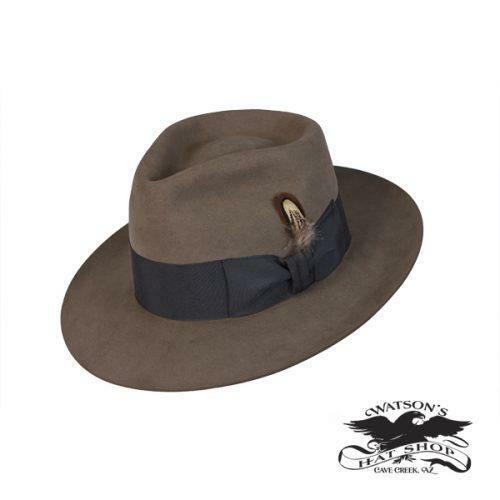 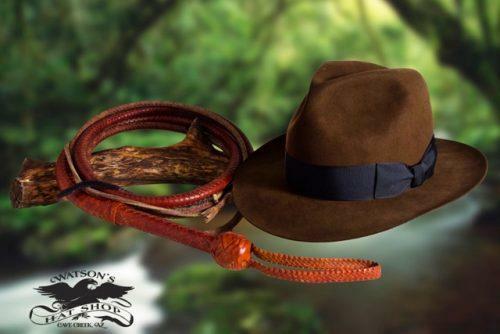 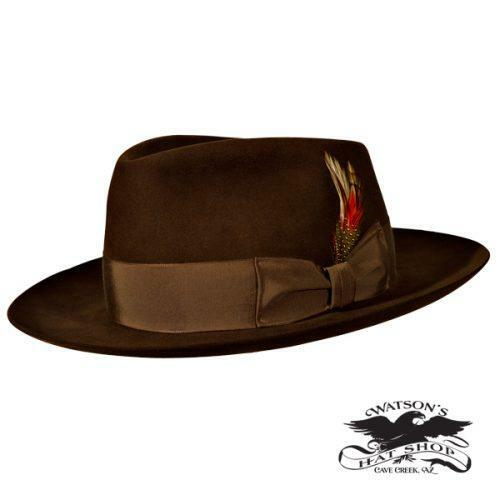 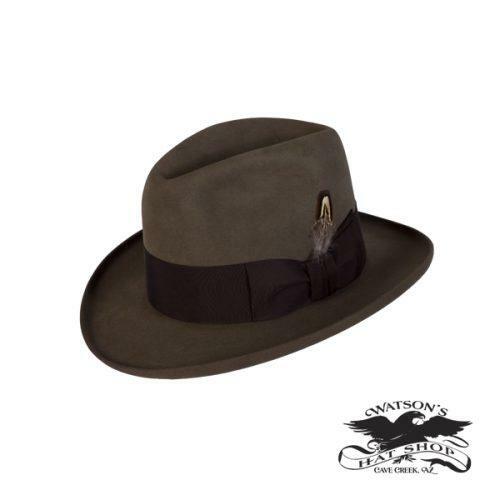 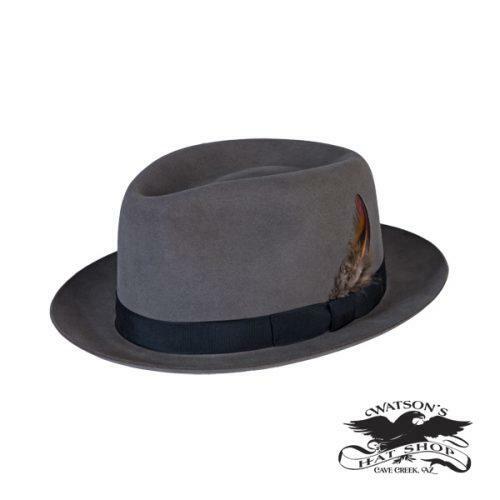 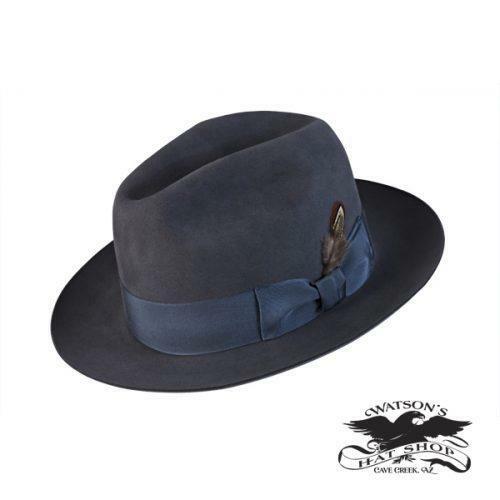 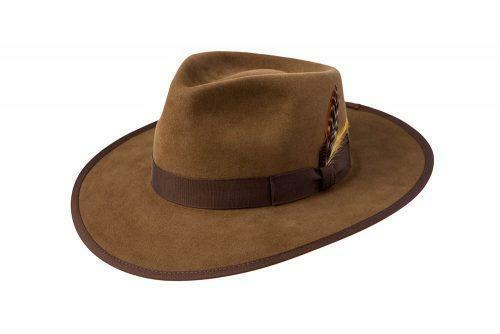 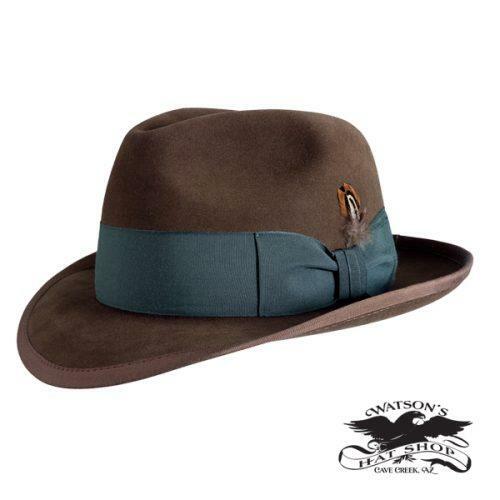 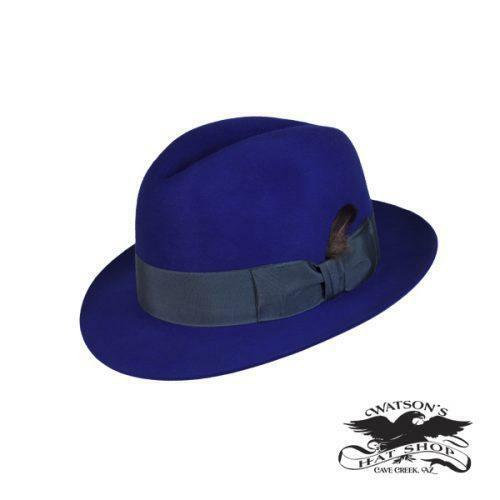 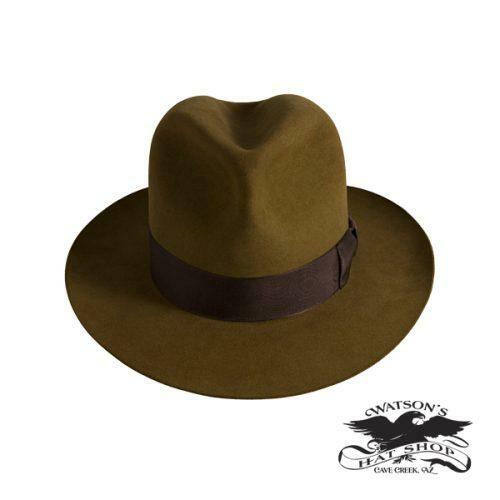 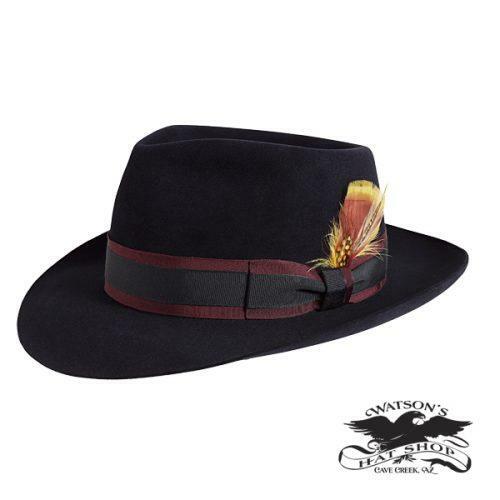 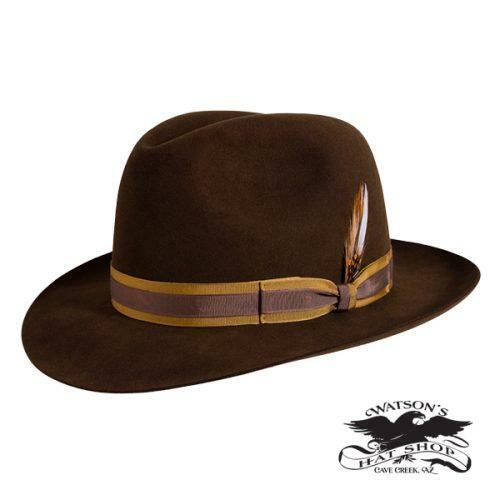 Fedoras are commonly made out of our vintage quality dress weight bodies. 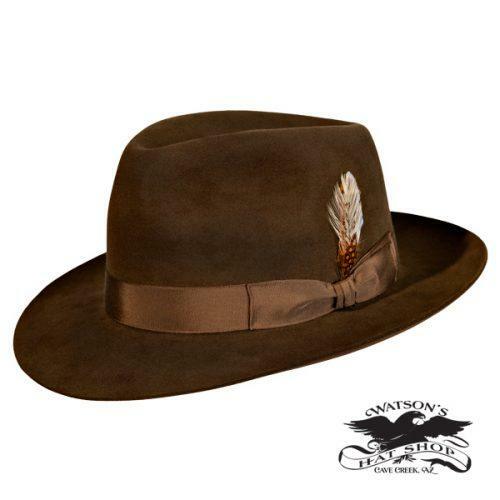 Since we are custom manufacture for custom hats we can insure some of the finest hat finishes and quality materials used. 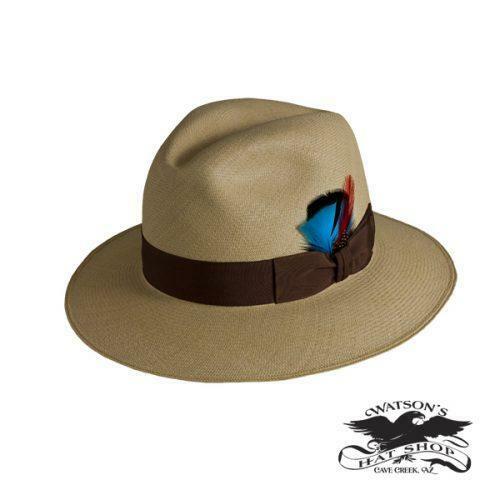 We are proud of the hats that we make for our customers and our customers are proud to wear them. 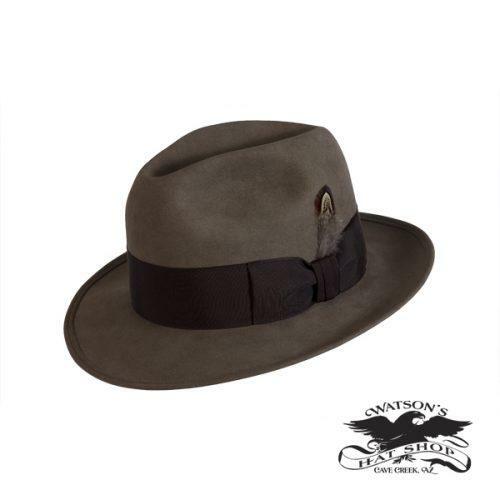 Still today your finest fedoras and dress hats are made from pure beaver fur felt. 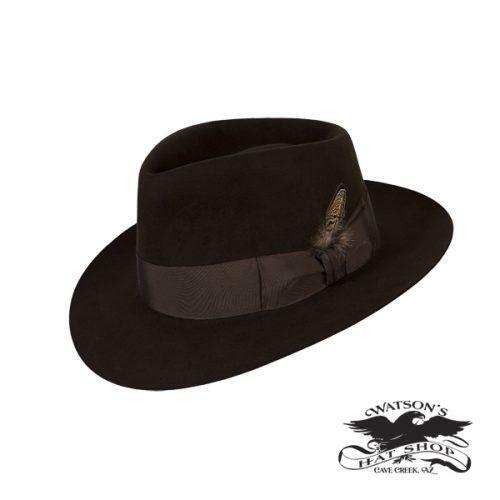 This is the absolute best fur and makes some of the finest vintage style hats.